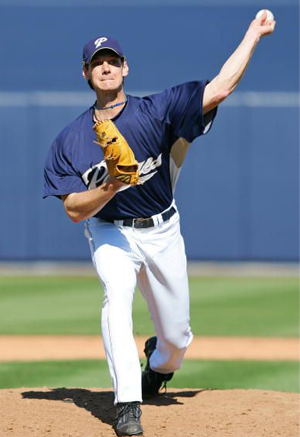 16 years of professional baseball from 1996 to 2011 as a Left Handed Pitcher. Pitched as a Starting Pitcher and Reliever. Participated in 8 Major League Spring Trainings. Knowledge of all three Asian Leagues. Played in Japan (NPB), Korea (KBO), and Taiwan (CPBL). Has played in Australia, Japan, Korea, Mexico, Taiwan, Puerto Rico, Dominican Republic, The Netherlands, and the USA. Signed as an 18-year-old undrafted free agent by the Los Angeles Dodgers in 1995. Selected in the Major League portion of the Rule V Draft in 1999 by the Cincinnati Reds, eventually being returned to the Dodgers in March 2000. Placed on the Dodgers 40 man roster at the end of the 2000 season. Traded by the Dodgers to the Pirates for Terry Mulholland July 2001. Traded by the Pirates to the Tigers for Randall Simon November 2002. Designated for Assignment by the Tigers in January 2004, resigned a AAA contract with the Tigers for the 2004 season. Granted free agency October 2004. Toronto Blue Jays 2005 – 2006. Yomiuri Giants of the NPB (Japan) for 2008 and 2009 seasons. Nexen Heroes of the KBO (Korea) for 2010 season. Lamigo Monkeys of the CPBL (Taiwan) for the 2011 season (released May 2011). Petroleros de Minatitlan of the Mexican league for 2011 season. Height 6’4” Weight 210 lb.